PORTLAND, Maine — There are more Mainers receiving welfare benefits than there are income tax filers paying taxes, Republican Gov. Paul LePage said Saturday. But Democrats said LePage’s numbers are deceptive and not entirely truthful. In reiterating his call for the need to cut human services programs to save money, the governor said in his weekly radio address that Maine had 453,000 people receiving welfare benefits in 2010. At the same time, he said, the state had only 445,000 tax filers who paid taxes. LePage said he doesn’t relish the thought of people being hurt by spending cuts, but said it isn’t fair to cover the $221 million Medicaid funding shortage by raising taxes or asking other state agencies to make up the difference. Rather, the state needs to rein in Medicaid costs and restructure the program, he said. The governor’s definition of welfare is overly broad, House Democratic Office spokeswoman Jodi Quintero said. “They very broadly define it as everything from disability to MaineCare (Medicaid), which isn’t welfare,” she said. LePage’s tax numbers don’t include joint tax returns, so the actual number of Mainers who paid income taxes is much higher than he says, Quintero said. While it’s true that 445,000 of the tax filers in 2010 paid taxes, there were 584,000 resident tax returns filed during the year, with the gap representing filers who didn’t pay taxes, Quintero said, citing statistics from Maine Revenue Services. Of the total, more than 246,000 were joint returns, meaning there were more than 700,000 people who filed tax returns, she said. LePage’s numbers are purposely deceptive to support Republicans’ political agenda, she said. LePage is also unfairly implying that most Mainers don’t pay taxes at all, said Rep. Seth Berry, the ranking Democrat on the Legislature’s taxation committee. The LePage administration has proposed Medicaid cuts that could leave up to 65,000 people without coverage. 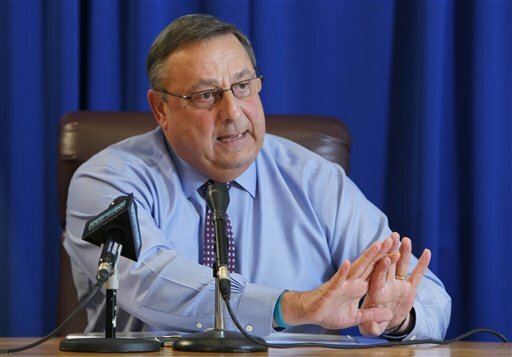 LePage says the cuts are necessary to avoid a fiscal crisis due to unsustainable Medicaid costs. LePage spokeswoman Adrienne Bennett said if Democrats argue that more people paid income taxes than the tax filings indicate, then it’s fair to say that more people received welfare benefits than the numbers suggest. The welfare numbers for the most part represent individuals who receive benefits, she said, but the reality is that many of the benefits go to help recipients’ families as w ell. “If the Democrats are saying the tax numbers are higher, those welfare numbers need to be higher as well,” she said.